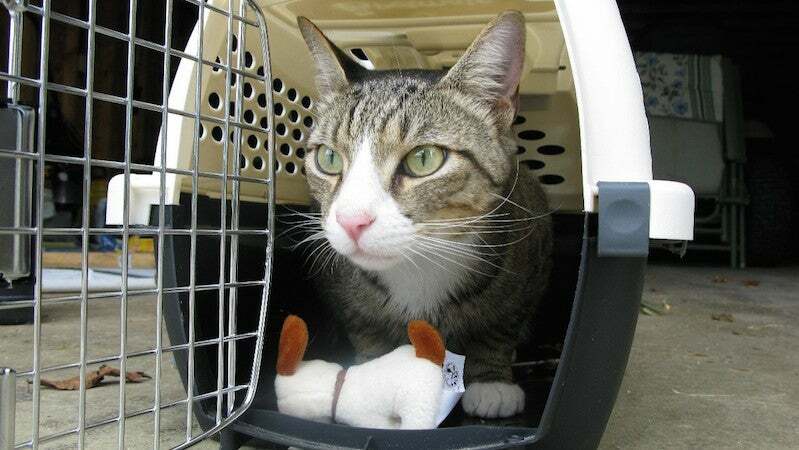 You may not know it, but many airlines require a vet's note before you fly with your pet. Make sure you get one before booking your holiday travel, or find out if your airline's pet policy requires one. A few extra minutes double checking can save you a lot of travel hassle. Image from armydre2008. Essentially, airlines want a vetr's proof that your pet is healthy enough to fly so they're off the hook if anything happens to your pet in-transit. Since vet appointments can be difficult to get at the last minute, knowing beforehand whether or not you need to get a note is important. Check the airline's pet policy for specifics, exceptions on short term travel and who you can contact if you need clarification on the policy. For more tips on what you need to do to prepare to fly with your pet, hit the link below. Beyond the airline, you need a note from your vet if you ate bringing a dog to tasmania to say it has been treated for tapeworm in the last 2 weeks.